We are delighted to welcome a number of new faces to the Editorial Board of Geochemical Transactions, the official journal of the ACS Geochemistry Division published by SpringerOpen. As geochemistry is broad and diverse field, we thought we’d introduce the new Editors and their own fields of research. Xionghan Feng is a Professor of Soil Chemistry at the Huazhong Agricultural University, China. He spent more than two years at the University of Delaware in the Delaware Environmental Institute (DENIN) as a visiting scientist through 2007 to 2012. His research focuses on mineralogy, reactivity and environmental behaviors of Fe, Mn and Al (hydr)oxides in soils. Current projects include mineralization and evolution of active Fe/Mn oxides, interfacial reactions of contaminants and nutrients at the surface of minerals and soil chemical processes regulating coupled cycling of phosphorus and iron. Professor Feng was previously a Guest Editor for the article collection “Surface reactivity, mineralogy and environmental significance of Mn oxides“. Alexey Kamyshny received his Ph.D. in applied chemistry from the Hebrew University of Jerusalem, Israel. Currently, he is a tenured Senior Lecturer and head of the Laboratory of Aquatic Biogeochemistry at the Department of Geological & Environmental Sciences, Ben-Gurion University of the Negev, Beer Sheva, Israel. His main research interests are the study of biogeochemistry of modern analogs of ancient oceans, the evolution of sulfur cycle through the Earth’s history, research into the impact of the sulfur cycle on cycling of carbon, nitrogen, oxygen and metals on local and global scales, sulfur isotope geochemistry, and elucidation of sulfide oxidation intermediates role in sulfur biogeochemistry. Dr Kamyshny previously guest edited the article collection “Geochemistry of Sulfur” for the journal. The picture here was taken during field work at the Gotland Basin, Baltic Sea. Ellen Moon is a research associate and lecturer in geochemistry at Southern Cross University, Australia. Her research focusses on the transport and availability of trace metals in soils, by determining the nature of the bond between the soil phases (both mineral and organic) and the trace metal. To do this, she applies a molecular-level approach, using X-ray absorption spectroscopy, small angle X-ray and neutron scattering and thermodynamic surface complexation modelling. Currently, her focus is the effect of mineral phase transformations on the mobility and speciation of adsorbed and incorporated metals. Ellen completed her PhD in Ocean and Earth Science from the University of Southampton, UK in 2012 under the guidance of Dr Caroline Peacock. Shortly before completing her PhD, Ellen moved to Australia to take up an industry research position, before moving to Southern Cross University in 2014 to join the Southern Cross GeoScience research group. 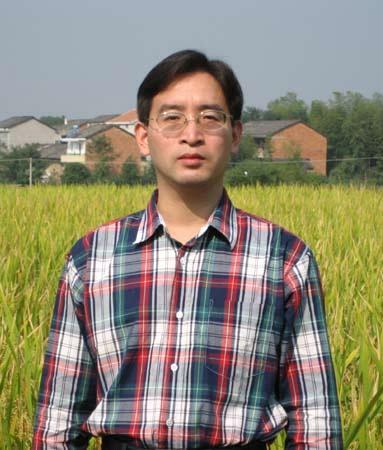 Mengqiang Zhu obtained his PhD in environmental soil chemistry from the University of Delaware in 2010. He was a post-doc research fellow in Environmental Geochemistry at the Lawrence Berkeley National Laboratory before joining the University of Wyoming as an Assistant Professor in Soil Biogeochemistry in 2013. His research is focused on biogeochemical and mineralogical processes that affect fate and transport of contaminants and nutrient cycling in soils and other terrestrial ecosystems. Specific areas of interest include mineral-water interfacial reactions, microbially-mediated transformation of metals and metalloids, formation, structure and properties of mineral nanoparticles, and speciation and cycling of P in soils. Multiple state-of-the-art synchrotron X-ray techniques (e.g., XAS, PDF and SAXS) and quantum chemical calculations are used in his research to provide molecular-scale understanding of these processes. Will Homoky studies the mechanisms and rates of trace element and isotope (TEI) fluxes between rocks, sediments and the oceans. He has particular interest in the cycling of micronutrient elements, like Fe, because oceanic primary production depends on their distribution, impacting oceanic food webs and the uptake of carbon dioxide from the atmosphere. Much of his interest focuses on early diagenetic transformations linked to organic matter degradation, lithogenic mineral dissolution and authigenesis, including the generation of colloidal or nanoparticulate TEIs in the “dissolved” ocean environment. Will uses high-resolution elemental abundance observations with stable isotopic ratios to trace the physio-chemical transformations of TEIs at the ocean-sediment interface and quantify flux. Substantial practical expertise has been acquired during fieldwork in many regions of the world’s oceans studying oceanic TEI cycles above and below the seafloor, including shallow coasts, deep ocean basins, volcanic islands and hydrothermal realms. Most recent efforts are also exploring the utility of stable and radiogenic chemical tracers in the ocean to quantify TEI exchanges. Will received a Masters degree in Geological Sciences from University of Leeds, UK prior to pursuing his interest in the ocean through to a PhD and a post-doctoral research fellowship at University of Southampton, UK. Highlights include educational and collaborative research visits overseas at the Universities of California, Santa Barbara and Riverside, Oregon State University, and the University of South Carolina, USA. Since 2013, Will is an Independent Research Fellow at the University of Oxford, UK, and a recently awarded Fellow of the UK’s Challenger Society for Marine Science. Young-Shin Jun is the Harold D. Jolley Career Development Associate Professor of Energy, Environmental & Chemical Engineering (EECE) and the EECE Director of Graduate Studies at Washington University, where she leads the Environmental NanoChemistry Laboratory. Dr. Jun received a 2011 U.S. National Science Foundation CAREER award and a 2008 Ralph E. Powe Junior Faculty Enhancement Award. She is the Division Chair of the American Chemical Society’s Geochemistry Division, after serving as Program Chair (2015) and Program Chair-Elect (2014). Dr. Jun has been named a 2015 Kavli Fellow by the U.S. National Academy of Sciences. I look forward to working with the editorial board members to support the efforts by the Geochemistry and Environmental Chemistry community and to help Geochemical Transactions make strategic plans addressing the geochemical research community’s needs. Dr. Jun’s research interests span important geochemistry topics, such as dynamic water-mineral interactions, the dissolution, nucleation, and growth of minerals, the fate and transport of environmental nanoparticles, redox geochemistry, geologic CO₂ sequestration, and interfacial reactions in subsurface environments. Her research group aims at improving our understanding of the fate and transport of contaminants and nanoparticles, providing more environmentally sustainable CO₂ sequestration strategies, and elucidating physicochemical reaction mechanisms occurring in water reuse through managed aquifer recharge and reverse osmosis membrane processes to secure potable water. To provide a clearer picture of geochemical reactions at mineral–water interfaces, her group utilizes in situ synchrotron-based X-ray techniques as well as state-of-the art techniques such as atomic force microscopy, high resolution electron microscopy, and Raman spectroscopy.